Mark Monmonier - Now in paperback! University of Chicago Press, 2002. 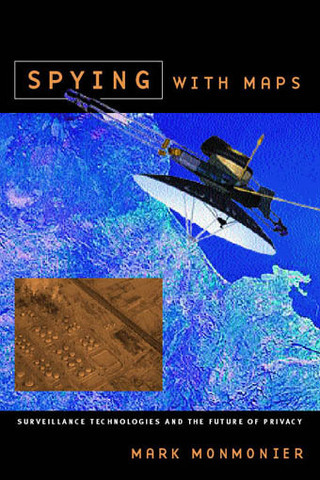 In Spying with Maps, I look at the increased use of geographic data, satellite imagery, and location tracking across a wide range of fields such as military intelligence, law enforcement, market research, and traffic engineering. Could these diverse forms of geographic monitoring lead to grave consequences for society? To assess this very real threat, I examine how geospatial technology works, what it can reveal, who uses it, and to what effect. "Eleven Ways You Are Being Watched"